France’s prime minister said Tuesday the attacks by pro-government demonstrators on the U.S. and French embassies in Damascus show President Bashar Assad’s hold on power is slipping. Speaking on Europe-1 radio, French Prime Minister Francois Fillon said Monday’s attacks show that “each passing day makes it more and more difficult” for the authoritarian leader to remain in power. Mobs smashed windows and spray-painted obscenities and graffiti on the walls of both embassies Monday to protest visits last week by the American and French ambassadors to Hama, an opposition stronghold in central Syria. Three French embassy workers were injured in the melee, the French Foreign Ministry said. Syrian authorities called the ambassadors’ visits to Hama interference in the country’s internal affairs and accused the envoys of undermining Syria’s stability. Police on Tuesday beefed up their presence outside both missions in the capital, Damascus. At the French embassy, workers were cleaning the walls outside and painting over red graffiti. The U.S. and France accused Syrian forces of being too slow to respond to the violence and demanded the government abide by its international obligations to protect diplomatic missions. The U.S. formally protested, calling the attacks “outrageous,” and saying protesters were incited by a television station heavily influenced by Syrian authorities. Assad has been trying to contain a four-month-old uprising that has posed the gravest challenge to his family’s 40-year dynasty in Syria, one of the most tightly controlled countries in the Middle East. He has tried to crush the unrest using a mixture of brute force and promises of reform, but the uprising has only grown more defiant. Enraged by a government crackdown that activists say has killed some 1,600 people _ most of the unarmed activists _ the protest movement is now calling for nothing less than the downfall of the regime. The crackdown has led to international condemnation and sanctions. In some of her harshest criticism yet, U.S. Secretary of State Hillary Rodham Clinton said Assad had “lost legitimacy” and was “not indispensable,” but stopped short of calling on him to step down. 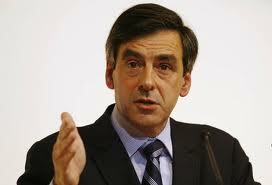 Also Tuesday, France urged the United Nations Security Council to take action on Syria. China and Russia are seen as blocking the adoption of a U.N. resolution against Syria.